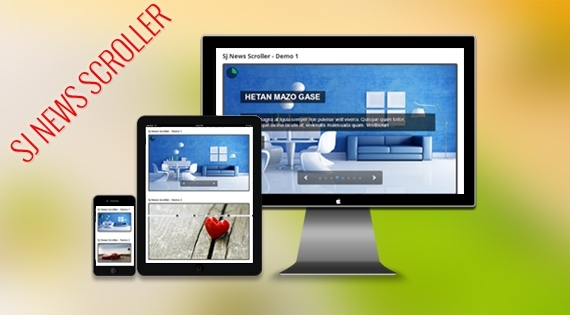 SJ News Scroller comes with 3 navigation styles and over 30 effects to show your content convenient way. This modules allows you to set up external folder for getting images if need. Title, description and links are tweaked to appear flexibly in many positions of layout. This is a responsive Joomla! module that modern Website must have. Along with navigation, we created mini slideshow in which we can use to preview some images. Besides, we can show timer with cool animation over the top. All of these can be tweaked under Effect tab of option, very easy to use.